The military showdown in the Persian Gulf seems even more inevitable, with the UK foreign secretary not ruling out military action against Iran. Applying even more pressure to the country, Europe may ban Iranian oil imports by the end of the month. “We believe all options should be on the table, that is part of the pressure on Iran, but we are clearly not calling for or advocating military action," Hague said. European foreign ministers are expected to meet on January 23 and Hague believes that the EU will come to an agreement on the measures against Iran. His remark of a military action still being on the table is the latest play in the game of threat and counter-threat unfolding around Iran. "We are advocating meaningful negotiations, if Iran will enter into them, and the increasing pressure of sanctions to try to get some flexibility from Iran," Hague said. German Foreign Minister Guido Westerwelle said that the new sanctions would help to cut off funding to Iran's controversial nuclear program. "So with new sanctions that we want to approve this month, we are now targeting the heart of the Iranian nuclear program: its oil and, with that, its sources of financing," Westerwelle said as cited by the Associated Press. "But the door to dialogue with Iran remains open at the same time." Iran is OPEC’s second-largest oil producer and the third-largest crude oil exporter in the world, according to US Energy Information Administration. Such countries as the UK and Germany have only about 1 per cent of Iranian oil in their total imports at the moment. Meanwhile, debt-stricken Italy, Spain, and Greece depend quite significantly on exports from Iran, with Iranian oil constituting around 13 per cent of total crude imports to each of these countries in 2011. As a whole, Iran’s export volume to the EU countries had decreased to 18 per cent of total crude exports by the middle of 2011. At the same time, China, India, and South Korea have increased their imports of Iranian oil. Iran exports 22 per cent of its oil to China alone, with Japan, India, and South Korea consuming 14, 13 and 10 per cent of Iran’s total exports respectively. In 2010, Iran's total oil export revenues amounted to approximately US$81 billion, according to the IMF, and in 2011 Iran’s revenues are estimated to have risen to around $100 billion. Iran's oil exports have already been affected by sanctions. In 2011, Iran experienced significant problems with receiving payments from India, when the Reserve Bank of India halted a clearing mechanism. And with the latest round of US sanctions targeting Iran’s financial sector, Iran is expected to have even more troubles receiving payments from most of his clients. ­Meanwhile, a group of UN experts has identified that Iran violated the arms embargo set up by UNSC by exporting military equipment to the Syrian regime among other things, the French Foreign Ministry said on Monday. Iran is forbidden from importing or export weapons or ammunition under the terms of UN Security Council resolutions dating 2007 and 2010. "These arms deliveries are illegal and deeply shocking because they benefit a regime that has chosen a kind of repression that the UN rights council has repeatedly said constitutes 'crimes against humanity'," said spokesman Romain Nadal. Washington is beefing up its naval presence in waters just outside the Gulf in response to Iran’s threats to block the crucial strait if the West places sanctions on its oil exports. The first encounter of between Iranian and US ships already happened on January 6, when US Navy amphibious ship New Orleans was heading through the Strait of Hormuz to the Persian Gulf. 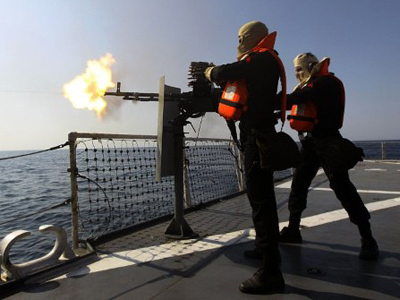 Three Iranian boats approached it at high speed, but turned away after a radio warning. The incident was considered “routine” according to US military officials. 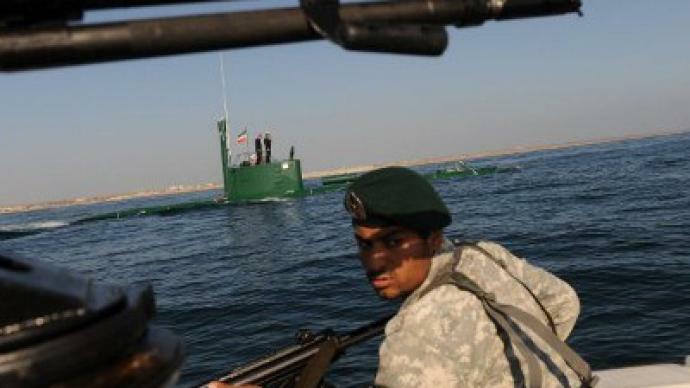 Iran has received a letter from the US government about the Strait of Hormuz and will respond “if necessary.” On Sunday, Masoud Jazayeri, the deputy chief of Iran's armed forces, claimed that any US aggression in the region would fail. 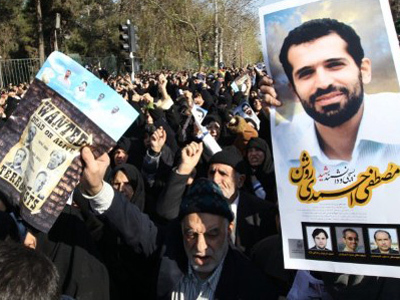 “Despite their propaganda, the United States knows that it does not have the ability to halt the Islamic Republic's activities in certain areas, notably in closing the Strait of Hormuz,” Jazayeri said as cited by the Fars news agency. 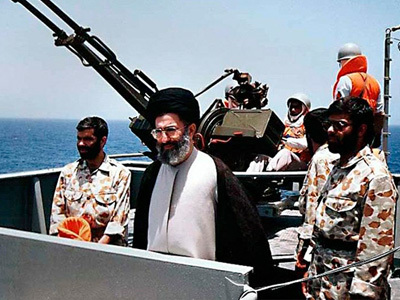 ­As international pressure mounts against Iran, there is already an ongoing guerrilla assault on the Islamic state according to London-based political analyst Chris Bambery. 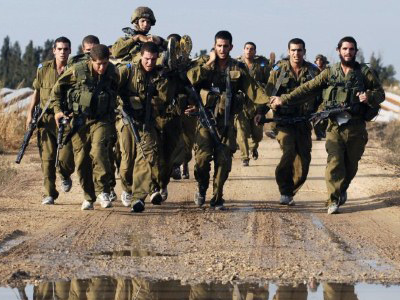 According to Bambery, the Israelis have been prepared to take the credit for these attacks, and he expresses certainty that Mossad is involved in them. ­And Brian Becker of the Anti-war coalition says that an economic blockade of the country equals an act of war. Becker says that this is in fact an economic blockade of Iran, and adds that by international law an economic blockade is an act of war. He also points out that Israel, on the other hand, has hundreds of nuclear weapons, and unlike Iran, refuses to sign a nuclear cooperation treaty and does not allow IAEA inspectors into its country.